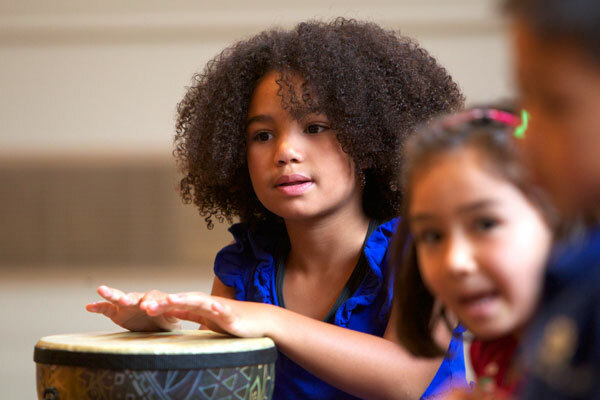 Rhythm Kids follows through on the Music Together® vision to help children complete the pathway of early childhood music development from birth through age 8. 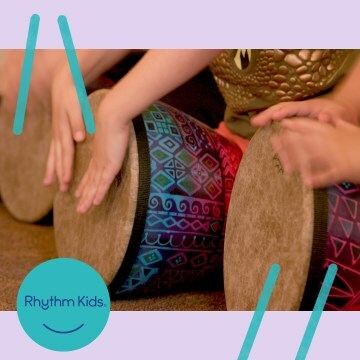 Rhythm Kids is segmented into two developmentally appropriate programs, Rhythm Kids Level 1 for children ages 4-5 and Rhythm Kids Level 2 for children in Kindergarten, first, and second grades. As part of the Rhythm Kids experience, children and their grownups can enjoy drumming play and practice sessions at home with the help of online play-along videos featuring Rhythm Kids creator Tom Foote. Drums will be provided for the class each week, but if you’d like your child to have a drum to play with at home (and in class, if they wish! ), please ask your teacher about the special discounts on djembe drums that are available to Music Together families.